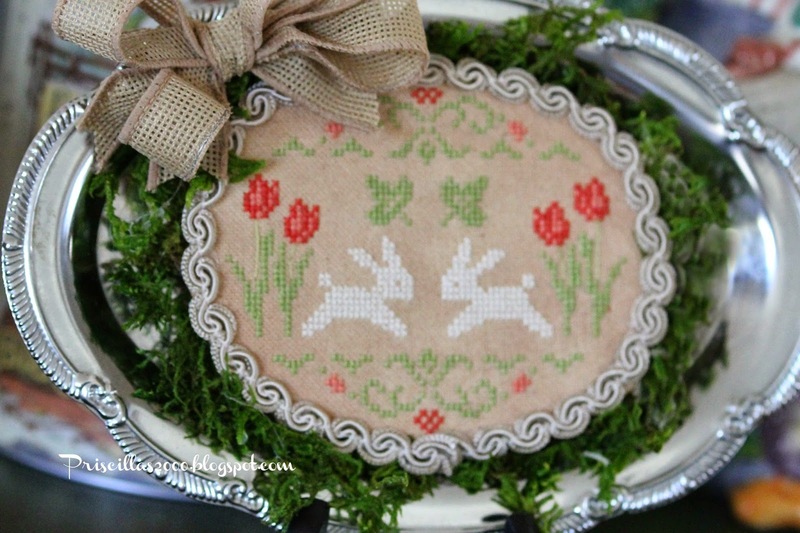 I stitched up this little free bunny cross stitch pattern this week .. 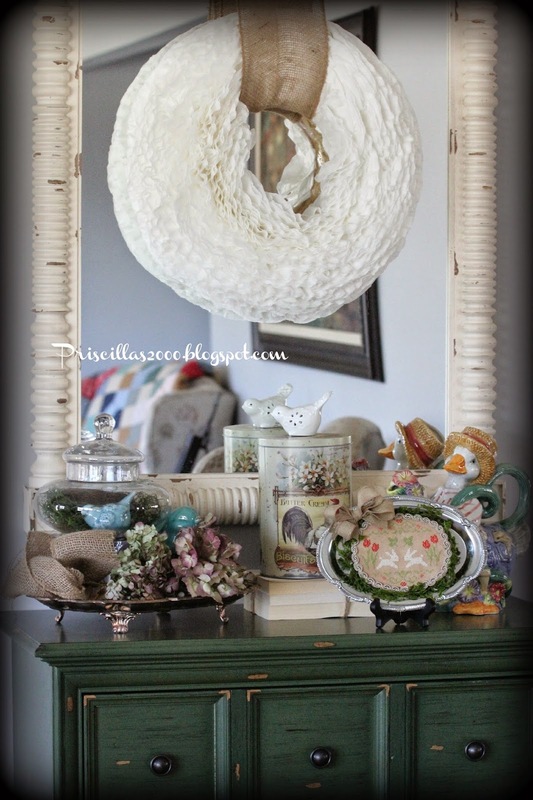 I saw this stitched on Carol's blog a couple years ago and loved it .. I put it on the chest in the foyer on a little easel.. Isn't it cute ?? It's a very quick to stitch up project you could finish before Easter ! What a cute stitch and the moss is just perfect! Awww... don't you love those little bunnies, Priscilla? 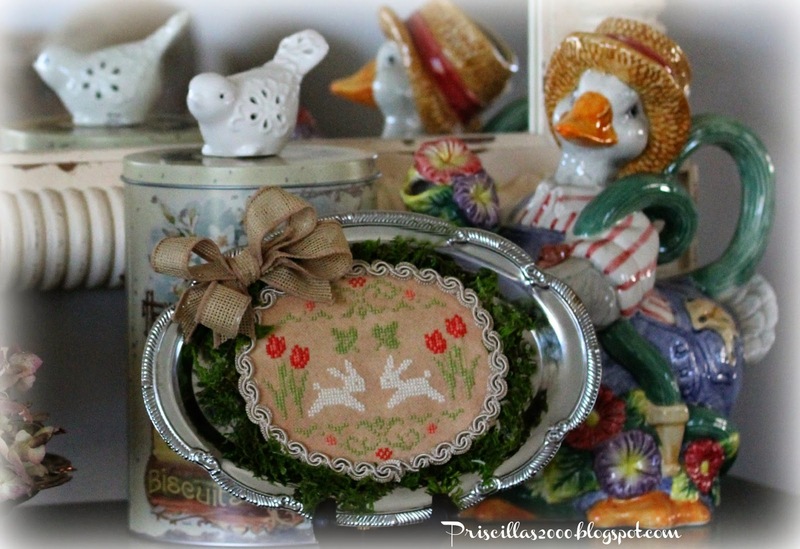 So sweet and I love how you finished them on the tray with the moss--very cute! That is so darn cute! I am afraid that if I pick up another hobby, I will never dust, or mop again!!! So cute. I love the bunnies. 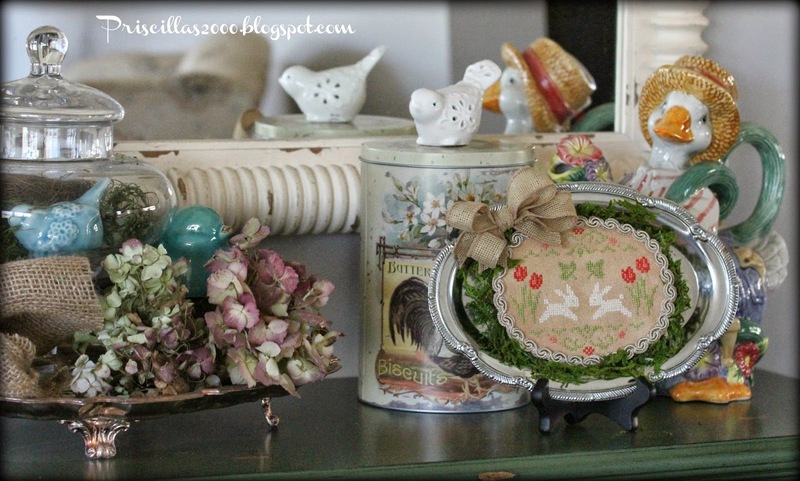 So cute, and another very clever finish, I don't know how you keep coming up with these finishes!!! 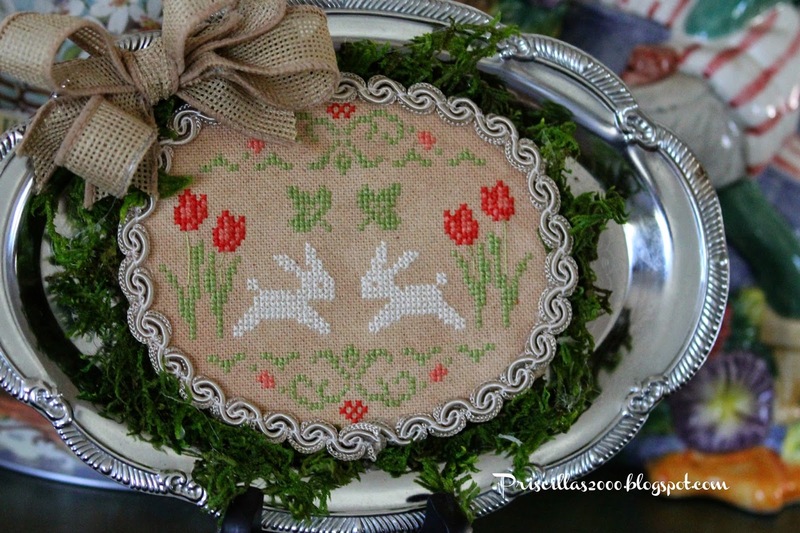 Oh I love your bunny crossstitch piece and such a beautiful vignette. I came across one of these photos on Pinterest and had to come over to see and read more. Love how you finished my design. One of the cutest I have seen!